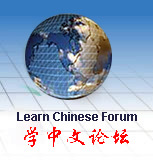 The Chinese Proficiency Test, also known as HSK, is the national standardized test designed and developed by the HSK Center of Beijing Language and Culture University to evaluate the Chinese proficiency of non-native Chinese speakers (including foreigners, overseas Chinese and people from Chinese national minorities). As a test of general language proficiency, the HSK is not based on any particular textbook or course of study. It is important that all candidates familiarize themselves with the HSK Guideline and test format. The book designed for the student to take HSK basic level test. Part I contains exercises on listening, grammar and reading comprehension, and simulated tests. Part II contains texts to the simulated tests in listening comprehension and provides answer keys to the tests and detailed explanations to the answers. There is an appendix: Introduction to HSK basic test. Published by the authority of HSK: Beijing Language and Culture University. This order is for 2 books and 3 tapes set.